ILI is quickly becoming the leading Latino-focused research entity in the state of Indiana and will lead the agenda of Latino research statewide. In order to address the realities that Latino constituents face and to find relevant and success solutions to these barriers, it is imperative that we work together with research-driven partners to create a truthful snapshot of our community. 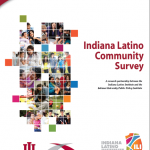 ILI will become the leader in research relevant to the issues affecting Latino communities throughout Indiana. Partner with academic institutions to generate research and information, promote Latino-related research already being done and drive the agenda of Latino research statewide. 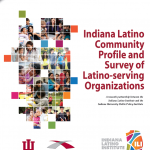 Concentrate on creating, providing and promoting research related to ILI priority programming (Health and Education) as well as prominent issues that affect the Indiana Latino Community.